It was to be the new beginning for Griffith, but, ironically, the Series 600 marked the end of the car once called the Cobra alternative. The 600 was created to be the Griffith that brought the company to a new level of sports car sophistication. Touting a handsome new styling from Turin-based Carrozzeria Intermeccanica, its longer and leaner lines were matched to a Mark Donohue-tuned suspension. Griffith produced just 11 magnificent Series 600s before supply issues led to further finance troubles for the company. The package did reemerge later as the Omega, marketed by Holman and Moody, and later a mildly revised Series 600 from the Intermeccanica Torino and subsequent Italia. 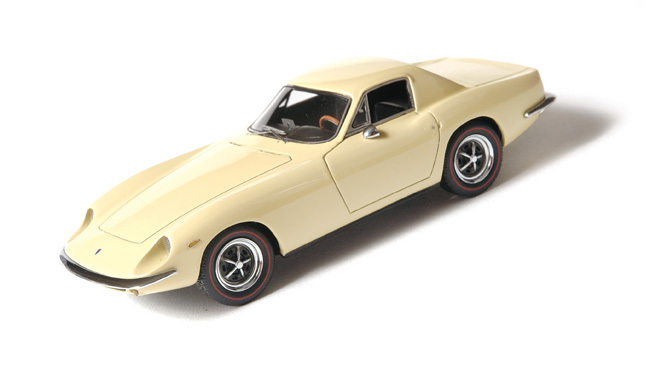 Automodello picks up its successful Griffith Series 200 with a dazzling 1:43 replica of what many consider the ultimate Griffith. This is a very precise scale reproduction with extensive detail. The finish and trim are outstanding. The tires and wheels are period correct and very well executed. Of particular note is the attention to detail of the exhaust system, side-view mirror and lower front turn-indicator lamps. Automodello models are the only diecast replicas to be personal endorsements by Andrew “Jack” Griffith.